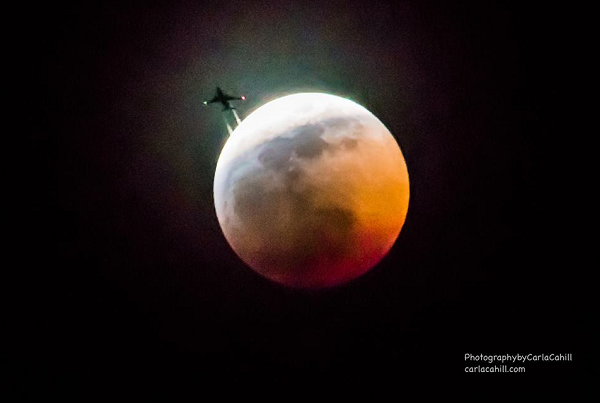 Okay, I saw this jet coming, so I acted fast and got it along with the Blood, Wolf, Blue, Eclipse Moon! The photographer’s gift is eternal alertness. 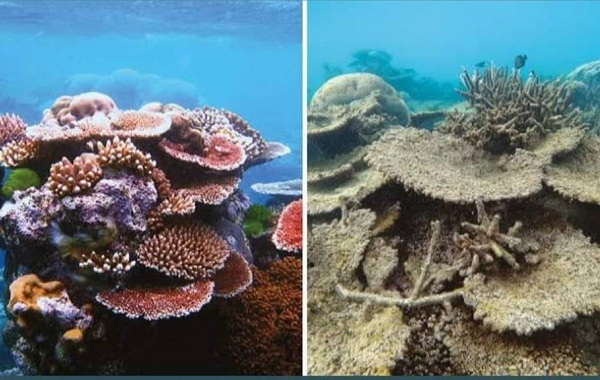 I somehow suspect the photographer of the coral reef — the Great Barrier Reef? — didn’t mark the exact few “leaves” of coral he photographed ten years earlier, and then returned to those exact few leaves ten years later — I imagine he may have returned to the same rough spot where he — or she, why do I suppose a he? — had taken her first shot, and found a similar spot to take the second. Or were there in fact two photographers? The similarity of the two photos almost convinces me of a single photographer with his eye on the same exact sport for years — his or her wife, lover or friends bringing sandwiches every day for ten years, sleepless nights under a cold moon.. 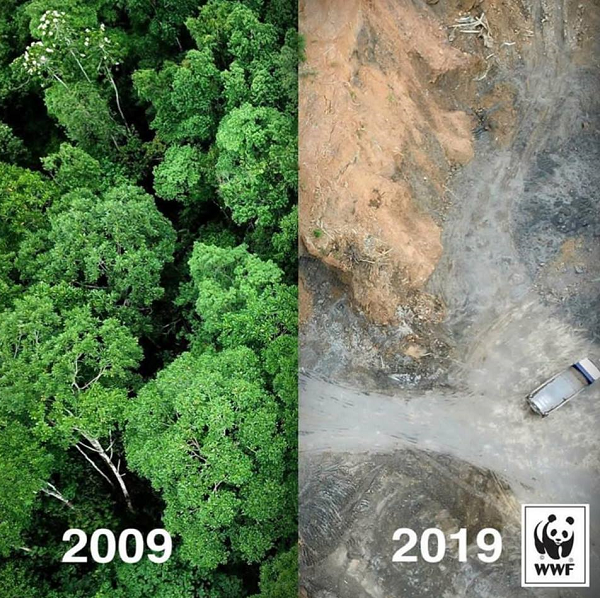 Except both photos were presumably taken by a diver or divers, underwater..
And the forest / mine pair — were they taken at the same spot, roughly the same spot — or close enough to make a point, maybe a few miles apart, with the second shot positioned to include the truck..? It’s very short of the dead country. The ironic is the same, yooo change. ah, but truth’s the same, as changeable as the stars. Aha! Sense at last — English sense, that is. ??? ??? ?? ??? ????? ?? ?? ????? ??? ??? ??? ????? ????? ???? ??? — which captures my own sentiment when I first saw Ali‘s post exactly..
All in all, a rich morning’s education! This entry was posted on Wednesday, January 23rd, 2019 at 8:42 pm	and is filed under AI, astronomy, Doublequotes, education, foreign language, history, language, photography, poetry, sic semper tyrannis, translation, Uncategorized. You can follow any responses to this entry through the RSS 2.0 feed. Both comments and pings are currently closed. When my eye first caught the jet on the moon I saw a person on stilts; haven’t shaken off that image, actually. Must be that the “giant leap for mankind” stayed with me all these years. Man with Wings of Steel who travels the Leap Moon! I could barely see him — I mean, the jet –n at first, because I have my screen at an angle which makes reading easier, and darkens dim pictures. But I saw she’d mentioned a jet, made my screen upright, and then voila, a semi-aura off light and in it, a jet with contrails.. Her attention to the moment impressed me a lot once I saw what she’d done, and reminded me of Ansel Adams’ description of taking Moonrise over Hernandez — it had been a long and fruitless day, he saw what looked like a possible shot, pulled to the side of the road, got out, set up the camera (with assistants) couldn’t find his light meter at once, remembered the value for the moon, the clouds were closing in, took the shot, wanted to take a second shot to be safe, too late, the light was gone.. He caught iut just at the right moment, seconds later was too late for that secoond shot, and he still got the graveyard in the foreground perfectly lit. Thanks, Charles, for the Ansel Adams shot. Or, should I say, Mother Moon! My pleasure, and by all means..